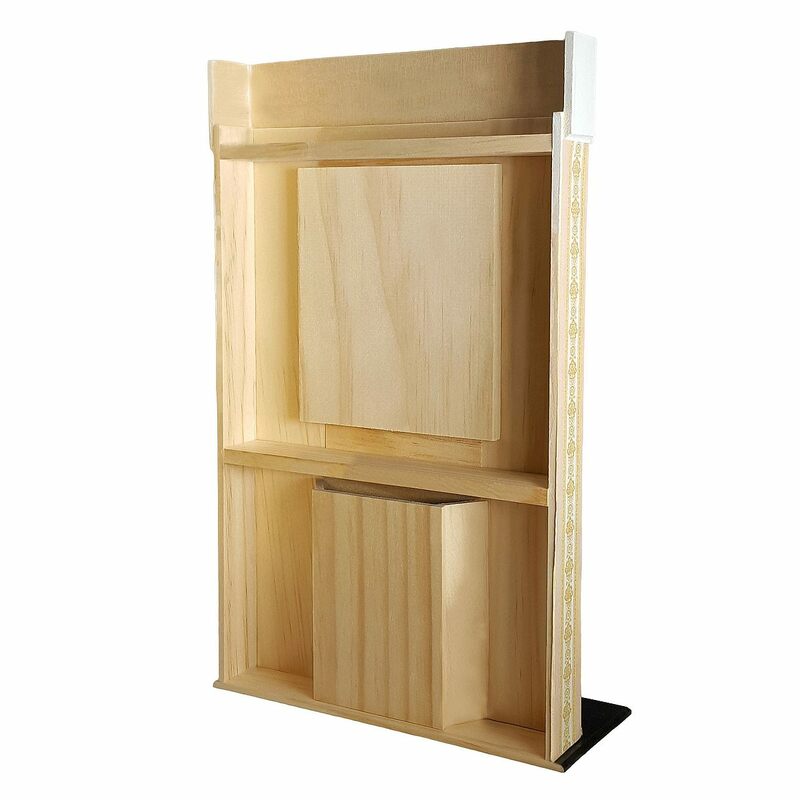 Construction kit made from wooden parts, without the victorian fireplace mantle (83050). Height: 250 - 280 mm, width: 168 mm. 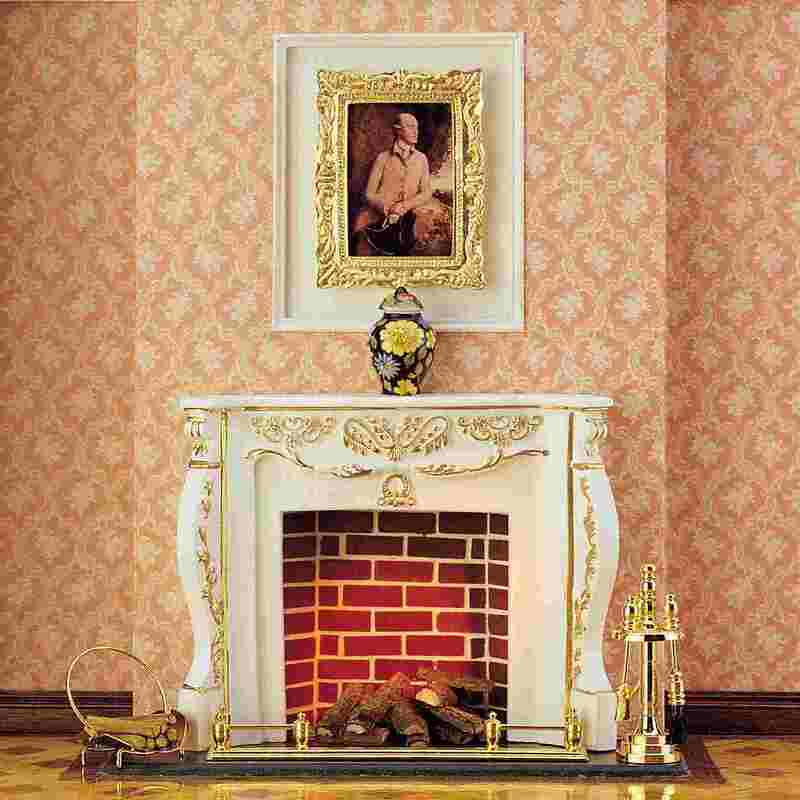 The kit contains a photo-wallpaper of a stone wall, which can be glued into the chimney flue. Alternatively, the fireplace shaft can also be lined with 50 genuine clinker bricks (82040). 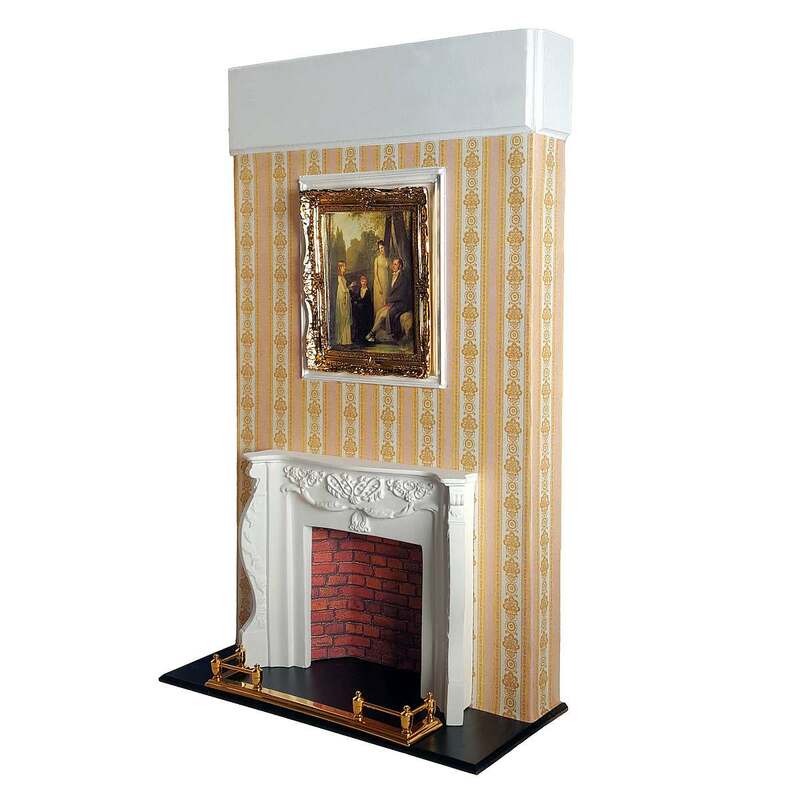 The flue (83000) in the other pictures was completely wallpapered and the Victorian chimney hearth correspondingly decorated with gold painting. Simply place the flicker fire unit under the wood in your fireplace to enjoy the most beautiful fire blazes.